According to the law, people accused of a crime are legally presumed to be innocent. This principle requires the prosecutor to prove the criminal defendant’s guilt. Due to the presumption of innocence, the defendant does not need to argue the case, present any witnesses, or do anything to prove innocence. If the prosecutor can’t convince the jury that the defendant is guilty, he or she goes free. Because of the serious consequences of a criminal conviction, a prosecutor must prove unequivocal guilt. In other words, the prosecutor must convince a judge or jury that the defendant is guilty “beyond a reasonable doubt.” If a reasonable doubt exists relative to one or more elements of the crime that has been charged, the defendant can argue the case. If doubt remains or the ‘burden of proof’ has not been met, the defendant is given the benefit of the doubt and cleared of the charge. In this defense, the defendant attempts to prove that he or she was somewhere other than the scene of the crime at the time the crime allegedly occurred. It seeks to prove that the defendant is innocent. For example, if the defendant was accused of committing a burglary at a certain date or time, the evidence to support the alibi might consist of family testimony and other evidence proving that he or she was at a different place. Did the defendant have a duty to retreat before using force? Was the defendant’s belief that self-defense was necessary reasonable? Was the force used by the defendant reasonable? In this defense, the defendant admits the offense, but seeks to absolve himself or herself from blame on the grounds of insanity. It is based on the principle that punishment is justified only when one is able to control one’s behavior and has the capacity to understand that one has committed a crime. This defense prevents people who cannot fully function in society from being criminally punished. An insanity defense case involves complex procedures and various tests to determine the truth of the claim. This defense depends on whether the intoxication was voluntary or involuntary, and whether the intent in question was clear and strong enough to merit a criminal charge. Involuntary intoxication can be a defense to criminal charges if the person was tricked or forced into consuming drugs or alcohol. Generally, voluntary intoxication does not excuse criminal conduct. However, some states have an exception to this rule. The defendant can argue that he or she was too drunk or high to have formed the intent to commit the crime. Specific intent can only be used as a partial defense in a case. It can be used to raise reasonable doubt about specific intent in a crime. Entrapment occurs when the government or the law enforcement officers persuade a person to commit a crime by actually placing the idea in their mind. For example, the police may use overbearing tactics or coercion to induce someone to commit a crime. 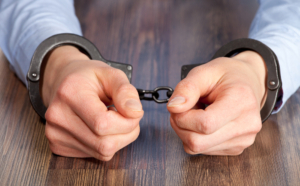 However, entrapment can be difficult to prove when a defendant has a prior related conviction. In addition, the defendant may be found guilty even if a government agent suggested or helped commit the crime if a judge or jury believes that he or she had the inclination to commit the crime. The Law Offices of Joel Silberman, LLC are dedicated to fighting for individuals who are facing Federal, State or Municipal charges. We will defend you and your loved ones against all types of violent crime charges. Call us today at (201) 273-7070 or (800) 889-3129 or email us at joel@joelsilbermanlaw.com.